Sometimes things work best when they’re understated. Bruce Springsteen’s latest album isn’t an antiwar album, it’s not about post-Katrina New Orleans, it’s not a frontal attack on President Bush. But at the same time, it’s all of those things. “We Shall Overcome: The Seeger Sessions” is a collection of traditional, gospel and folk songs. 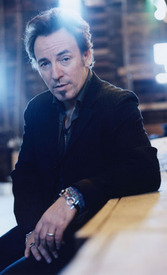 Instead of writing au courant songs that aim to make a political statement, Springsteen has released songs that have made political statements for decades. Never mentioning the word “Iraq,” he nevertheless makes an antiwar statement in the Irish traditional song “Mrs. McGrath.” The song, about a mother whose son comes home from the Navy having lost both his legs to a cannonball, is particularly poignant today. The listener doesn’t need to be told that the song is still relevant; it’s immediately clear that it is. Similarly, it’s not hard to move the story of “My Oklahoma Home” over a few states to Louisiana, especially when the horns start playing on the track. Lines like “Everything but my mortgage blowed away” could have been written about the Gulf Coast. The fact that they weren’t, though, makes them more powerful. This isn’t a charity song written to “raise awareness” or to be played at the latest telethon. It’s a song of the dustbowl days that has stood the test of time. It carries the weight of Katrina and the Great Depression. The album’s 13 tracks recall the heyday of folk music. It’s hard to not start singing along with the standards included on the disc. The tracks vary from somber and moving to foot-stomping and charged. The sound recalls a number of great folk collections. The feel is, at times, very similar to a listen of Bob Dylan’s “The Times They Are A’Changing.” Other tracks remind you of Billy Bragg’s “Mermaid Avenue” albums, which also worked to bring new life to older songs. Of course, Springsteen acknowledges the biggest influence in the album’s title. In this CD/DVD rendition of the title track, “We Shall Overcome,” Springsteen seems to give new life to the anthem. Soft and powerful, it contains what is the essence of the album’s political message — that there is hope in spite of the troubles.